Housed on two newly-renovated, dedicated floors of 41 Broad Street, the Center for Early Childhood Education at Léman is a joyful, nurturing place that sets the foundation for each child's academic, social, and emotional success. 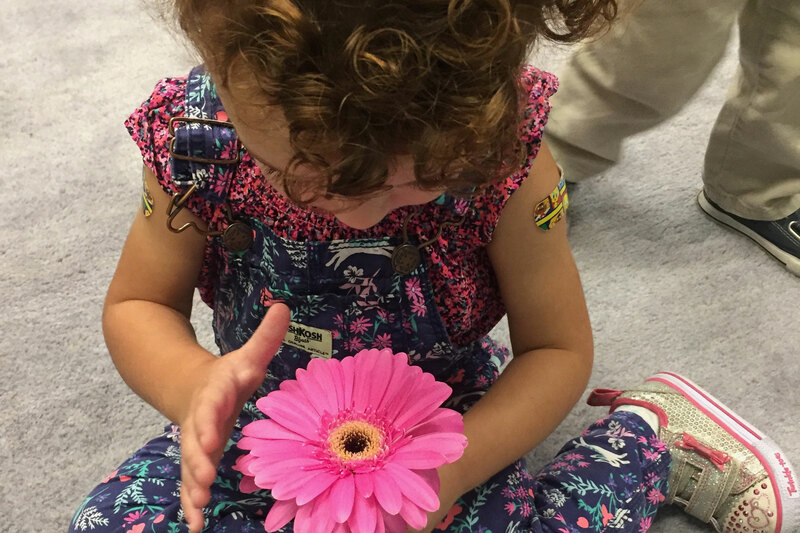 Through our play-based program and hands-on learning experiences, children ignite their curiosity and build a sense of belonging during the most influential time in their development. As an inquiry-based program, we build literacy, mathematics, gross and fine motor skills, music, and world language fluency in a community that values service to others and family. 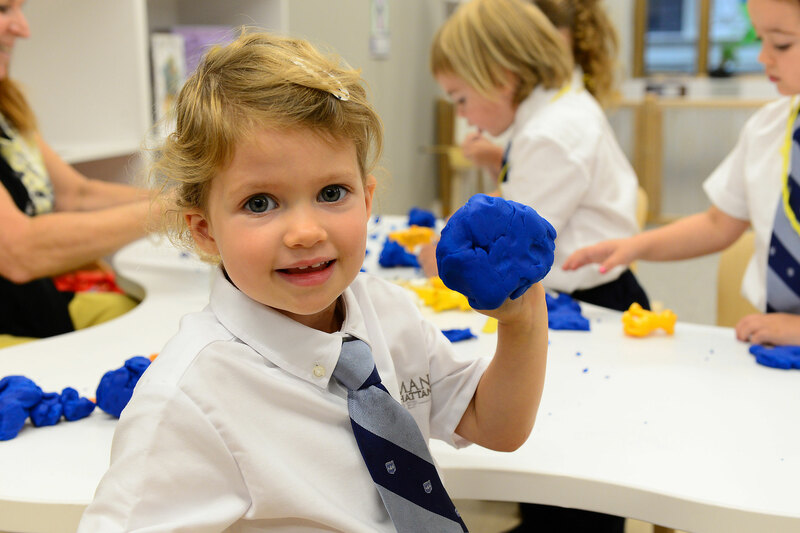 The youngest learners at Léman become independent lifelong learners who are not afraid to take risks. 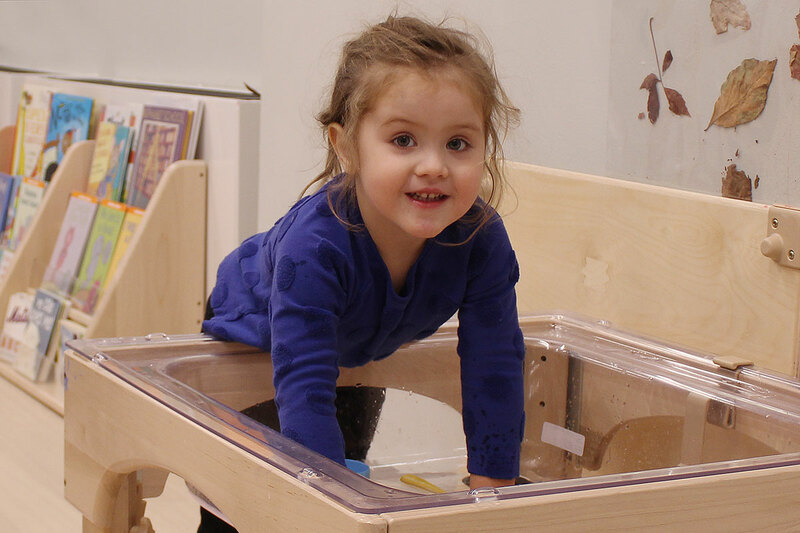 Our toddler program is the ideal first school experience for the youngest of learners. We prepare toddlers for the routines of preschool through a multi-sensory approach that builds a strong foundation for academic and social/emotional success. Our “grown-up and me” program fosters strong partnerships between teachers and parents to ensure children build a sense of belonging, confidence and independence as they explore the world around them. We provide an interdisciplinary approach to learning in our PreK 2 classroom, where inquisitive young students build a foundation of academic readiness and social/emotional development. Through hands-on experiences in literacy, math, art, music, and movement, two-year-olds leave our program as engaged learners, ready for Léman's full day PreK 3 classroom. We offer non-separation and drop off PreK 2 programs. Our Threes program promotes social, emotional, intellectual, and physical development in a dynamic environment that promotes increased independence and a strong sense of community. Starting in PreK 3, students participate in music, world language – Mandarin or Spanish four times a week, WonderLab, library and swim. Our students become critical thinkers as they investigate their surroundings and build the literacy and math skills they need for future academic success. Four to five-year-olds at Léman are increasingly focused on becoming readers and writers. Our multisensory approach to literacy and print-rich environment encourages curiosity, creativity, and collaboration. PreK 4s build leadership skills, self-motivation, expressive and receptive language, and positive self-esteem to create successful and enriching learning experiences each day that prepare them for Kindergarten and beyond. World language instruction continues with Mandarin or Spanish offered four times a week. Léman students grow by leaps and bounds in Kindergarten in preparation for their transition into the Lower School. Proficiency in literacy and math is fostered by Columbia University Teachers College Readers and Writers Workshop and an integrated math curriculum focused on problem-solving. 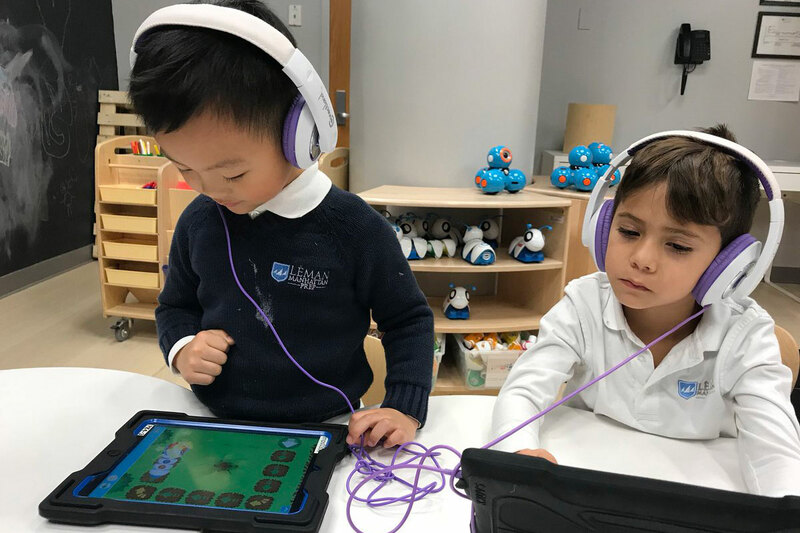 We introduce additional world languages – French is offered in addition to Spanish and Mandarin, our signature Violin Program, and Woodworking, enabling each Kindergartener to explore new pursuits and begin to discover their passions and interests.